Do you remember, as a child, how endlessly entertaining a a simple old-style rocking horse could be? We certainly do. 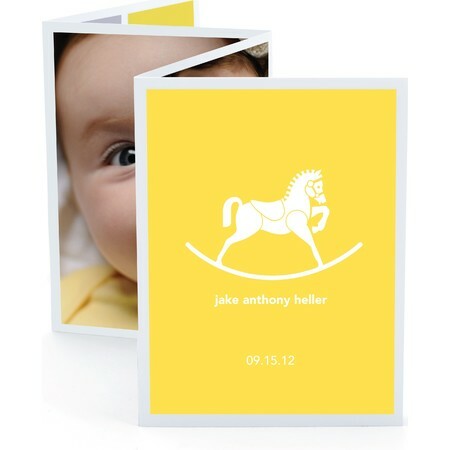 Our sweetly stylish birth announcement, printed on sumptuous premium paper, has room for six of your favorite pictures... and flair to spare.